Home » How Much Caffeine in a Cup of Coffee? Have you ever wondered precisely how much caffeine is in that cup of coffee or espresso you are drinking? The answer is that a typical shot of espresso contains about 40-50 milligrams of caffeine while a typical cup of coffee has about 100-120 milligrams of caffeine. Of course the exact amount depends upon various things like what type of coffee beans you are using (Robusta beans have significantly more caffeine than Arabica beans), what coffee coffee brewing method you are using, how long the coffee beans were roasted (roasted diminishes the caffeine content), the extraction time and water temperature, and other factors. Does a Medium Roast have more caffeine than a Dark Roast? Does Robusta have more caffeine than Arabica coffee? eg. if you use 10 grams (10,000 mg) of coffee (generally, 2 tbsp), with 1.20% caffeine by weight, you’ll get roughly (10,000 mg * 0.012 =) 120 mg of caffeine. These numbers may be correct for the coffee offered by Mountanos Bros. Coffee Co., but they probably are not neccessarily correct in a generic way. Caffeine will vary from farm to farm, and plant variety to plant variety, and even year to year. This is further offset by the fact that green coffee loses anywhere from 10%-20% of it’s weight during the roasting process (evaporation of water) – meaning darker roasts may or may not have slightly more caffeine when comparing exact weights after roasting. In general, however, it is true that a cup of regular Drip-Brewed, Arabica coffee with a medium roast will have about 120 milligrams of caffeine, and that a 30 ml shot of espresso with an espresso roast and Arabica coffee beans will have about 120 milligrams of caffeine. As a general rule of thumb, robusta has approximately twice as much caffeine as arabica. 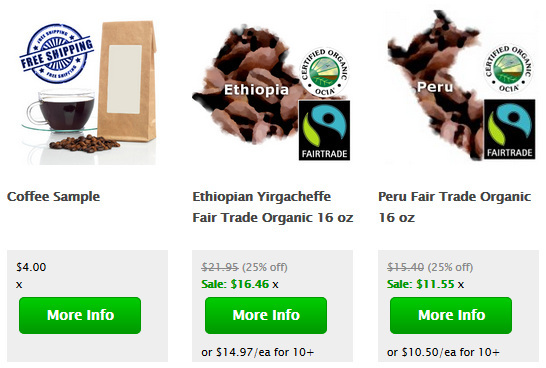 This will vary depending on specifically which arabica beans you’re comparing against specifically which robusta beans. The only way to know this, is by submitting samples to a lab for chemical analysis. It was 1819 when German chemist named Friedlieb Runge isolated caffeine though the first coffee shops had been opened in 1530 in Istanbul, Damascus and Syria. In nature caffeine serves as a natural pesticide helping plants defend against predators including harmful insects. When caffeine is consumed it leads to more alertness and energy through its ability to mimic a compound called adenosine that binds to the adenosine receptors of the brain. When this happens it has the effect of blocking real adenosine from its job of creating a feeling of drowsiness and slowing nerve impulses. A regular 43-gram Hershey’s Milk Chocolate bar contains about 10 milligrams of caffeine. A typical cup of Decaffeinated Coffee containing about 7 ounces will likely have about 10 milligrams of caffeine. A 6 ounce cup of black tea will likely have about 50 milligrams of caffeine and green tea only about 30. You will get about 34 milligrams of caffeine in a 12 ounce Coke. Caffeine can be chemically synthesized though this is not commonly done since caffeine is so easy to get as a by-product of decaffeinating substances with caffeine, such as coffee beans. If you are wondering how much caffeine is in a cup of coffee because you are worried about your overall caffeine consumption then realize that there are many factors involved, and also remember that Instant Coffee is typically made using Robusta coffee beans which have about twice as much caffeine as Arabica coffee beans. In general moderate amounts of coffee have only a mild effect on the body and do not cause the problems associated with excess caffeine intake. This means that coffee drinkers have a lower chance of dying in a given year, than non-coffee drinkers. The exact mechanism is unknown (anti-oxidants, life-style factors, or being more alert), but the general consensus is that drinking coffee is healthy. If you are trying to quit drinking coffee and worried about caffeine withdrawal symptoms due to the caffeine in coffee that your body has become so accustomed to, then just reduce your amount of intake a little each day and you will barely notice any craving effects that may be associated with stopping caffeine intake. You can also try drinking Decaffeinated Coffee since much of the pleasure of enjoying a cup of coffee in the morning is preserved and you may not even miss the caffeine at all since the warm beverage itself does a lot to help wake you in the morning. With the French Press brewing method using strong coffee beans one cup of coffee can have way more caffeine in it that a moderately brewed cup, so you may just try using fewer grinds when you brew your coffee. If you like to visit Starbucks and enjoy espresso drinks then perhaps just ask for one shot of espresso instead of two. The body’s liver metabolizes caffeine after it is consumed and the stomach and small intestine absorb it, usually in less than one hour, and it proceeds to spread throughout the tissues of the body. The chemical formula of caffeine is C8H10N4O2 and the chemical name of caffeine is 1,3,7-trimethylxanthine, and it is found in about 60 different plants. About 450,000 cups of coffee are consumed in the U.S. every day. Most humans consume their caffeine by getting it from either coffee beans or tea leaves, or else from various beverages that contain extracted caffeine, or from various natural sources like cocoa beans, the kola nut, Yaupon Holly, yerba mate and guarana berries. Every day around 90% of adults in the U.S. consume caffeine. How much caffeine in coffee vs. espresso? You realize of course that those numbers are totally useless without putting what units in what quantities you mean. Is that 1.37 Grams per ounce? mg. per cup, what size of cup? That could be grains per bagful for all we know. Please find the measurements and add to yor page. It would be greatly appreciated. Mountanos Bros. listting of caffeine content. The list you furnish from Mountanos Bros. claims 1.01 to 1.42 caffeine in their coffees. The question was asked as to what the units were, and one person responded they were percentages. 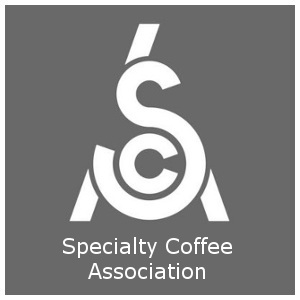 Elsewhere, you list a brewing recommendation by the SCAA as 10g coffee in 6 oz water, resulting in 5.33 oz brewed coffee. Taking those numbers as typical, if the Mountanos Bros. list indicated % caffeine in the bean, we would have 10g coffee with 1.01% caffeine (101 mg), up to 1.42% caffeine (142 mg) in a 5.33 oz cup of coffee. If the results indicated % caffeine in the finished coffee, figuring 1 oz water as 30 grams (160 g water in a 5.33 oz cup), we would have 1616 to 2272 mg, respectively. From what you post here, and in other sources I’ve read, 101 to 142 mg sounds in the ballpark for a cup of coffee; 1616 to 2272 mg looks way out of bounds. Wikipedia notes that the LD50 for humans is in the range of 150-200 mg per kg body weightâ€”about 12,000 mg for a 180 pound person; in other words, about 84-6 oz cups by the first reckoning (percent caffeine in the bean), and about 5 cups by the second (percent caffeine in the cup). Seems that % caffeine in the bean is the meaning of the Mountanos Bros. list. This would be a hugely informative list if it were translated to mg per fluid ounce. I speculate that X % does mean (as Graeme mentioned before) X g pure caffeine/100 g coffee bean. Percentages do not have units because the same unit on the top and the bottom of the fraction gets cancelled. However, this % unit could be more specific: X % pure caffeine/coffee bean. Lil and K cupper both mentioned volume in various units–(fluid) ounces, mL, cup. The volume of water, I would believe, has less to do with the final amount of caffeine extracted, and more to do with the final concentration of caffeine in the brew. In summary, it’s not the amount of water used to extract from the coffee beans that determines how much caffeine is in the brew, but only how many grams of coffee beans are used in the first place. Thus, grams is the only unit of measure that would be helpful, not ounces, mL, cup or anything to do with volume.